Like a mobile phone, individuals need to be charged up, charged out and not burnt-out. 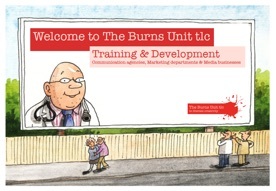 The Burns Unit tlc has been created by Paul Burns to act as a ‘Spark’ to help advertising agencies, communication organisations and marketing departments unleash a virus of creativity. In today’s complex world of advertising and communication where design, instore, social media, mobile and word-of-mouth are as important as traditional communication channels. This complexity demands the power of creativity married to rigorous strategic thinking to become the edge that every business needs to survive and grow. We are convinced the best way to grow and strengthen your business relationships is by transforming your ‘Talent Assets’ into a formidable, brilliant and inspirational driving force. A well planned and strategic approach to Learning and Development aligned to the objectives of the business is the rock solid foundation on which exceptional courses, workshops and experiences are delivered to lead your teams transformation. 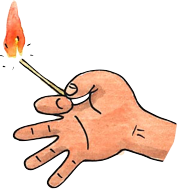 Make a spark and get in touch.